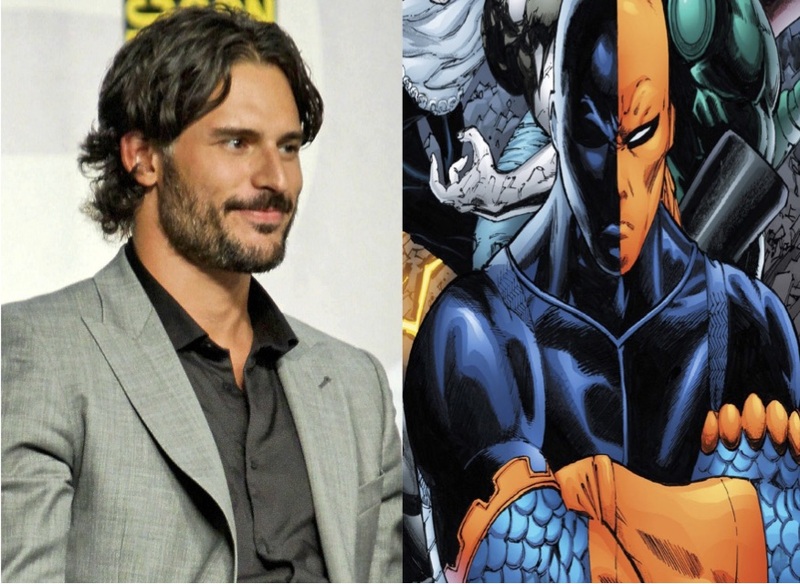 Following Ben Affleck’s reveal of the character on the set of Justice League, it has been confirmed that mercenary for hire Deathstroke/Slade Wilson will be the big bad of Batfleck’s solo movie (that’s still looking fro a space in the DC Extended Universe's current slate). On top of that, in an interview with The Wall Street Journal, DC Comics COO and DCEU overseer Geoff Johns revealed that Joe Manganiello (Pee-Wee’s Big Holiday, Sabotage, Magic Mike) has been cast in the role, though stopped short of confirming if he will be present in Zach Snyder’s upcoming coming together of DC’s iconic heroes. But seeing as Justice League is still in the middle of filming (and our first look at the character was on one its sets), I wouldn’t be surprised if he turned up for a cameo or even a post-credits stinger. Pretty much the equel of Batman in terms of hand to hand combat and strategic thinking, Deathstroke is a perfect choice for the villain of the solo Batman movie. The usual rogues gallery of mad men has been done to death in my opinion, and having someone who can go toe to to with the Dark Knight is pretty refreshing. On top of that, Mangeniello is perfect casting, bringing an imposing psychical presence to the role as well an incredible amount of charm and charisma.